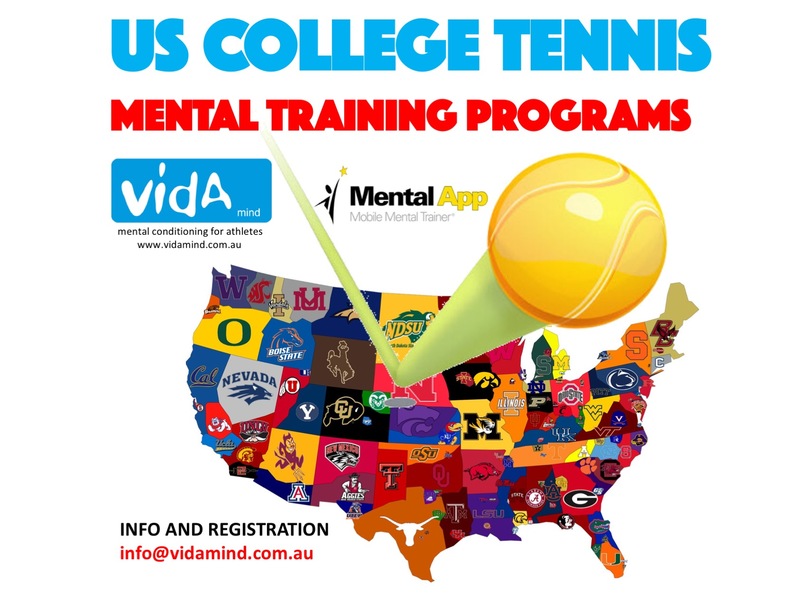 Top advice given by student-athletes: “Playing sports in the US requires important traits like focus, dedication, hard work and persistence in order to succeed.” Vida Mind Mental Training Program helps you to develop the top mental skills needed in high competitive tennis and to make a successful transition. American NCAA Division I universities provide opportunities for elite athletes from outside the U.S. to pursue their university degree while continuing to train and compete at a high athletic level, an opportunity not possible in many other countries. However, international athletes face challenges in adjusting to life as a student-athlete. The most recent research by the US Sports Academy highlights the importance of transitioning international athletes into college life. Indeed, it should come as little surprise that international athletes feel the most difficult aspects of playing university sport in the U.S. are dealing with homesickness, cultural differences, and language barriers; while the most important elements to a successful transition for international athletes are a strong support system from teammates and coaches and also from friends and family in their native country. Finally, and most important, the top piece of advice given by student-athletes is to realize that playing sports in the U.S. will require important traits like focus, dedication, hard work, and persistence in order to succeed. Vida Mind mental training program is part of the support system identified by international student-athletes as the most important element of a successful transition. Before and once international athletes are on campus, Dr Lafont, Director of Vida Mind helps the athlete’s transition into college life, focused on preparing for the top challenges. Our Mental Training Programs are dedicated to facilitate a smooth transition by helping the athlete both to be prepared and to feel supported. We teach the athletes to learn the key mental skills they will need as athlete and student in a new and competitive environment. Including visualisation program; tennis match book and training book providing simple and powerful ‘how to’ to learn and develop the most important mental skills for tennis. 3 months registration for the MentalApp, the most complete mobile mental training app designed to help athletes and performers develop mental toughness. For more information and registration please contact us.